At Rivore we believe in giving our customers options. • To give you a fair and accurate estimate of your materials value. • Be there to answer any questions at any time. Rivore can offer to identify potential niche markets for high value items in your E-scrap streams! We are constantly working with North America, Asian and European customers who are looking to reuse specific components from the E-scrap recycing stream. We will teach you how to identify these items and in turn maximize your profits. 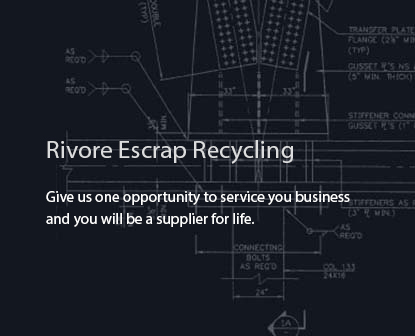 Rivore's team of recycling prfessionals brings together decades of knowledge and experience to offer customers a single source recycling partner. Rivore's services will help your company save time, reduce risk and maximize profits. For many of these materials there is no minimum quantity. Contact our services team to find out how we can best help you and your company succeed.